Bannon: 2019 To Be "Most Vitriolic Year In American Politics Since Before The Civil War"
Former White House chief strategist Steve Bannon predicts 2019 will be the "Most Vitriolic Year In American Politics Since Before The Civil War," pointing to the upcoming Mueller report and House Democrats who want to "weaponize" it. Speaking with CBS News correspondent Seth Doane on Saturday, Bannon added: "And I include Vietnam in that. I think we're in, I think we're in for a very nasty 2019." "I think the next 90 days to four months is going to be a real meat grinder ... I mean, the pressure on the president is coming from many different angles," said Bannon - adding "I think you've already seen it from what the Democrats, some of these reports they've been dropping here without telling anybody. I think that now they control the House they can weaponize this, they could weaponize the Mueller report." Bannon said he also expects the president to face primary challenges from more centrist and moderate Republicans. Some high-profile Republicans, including Maryland's popular Gov. Larry Hogan, are mulling bids to mount insurgent campaigns against the incumbent president. 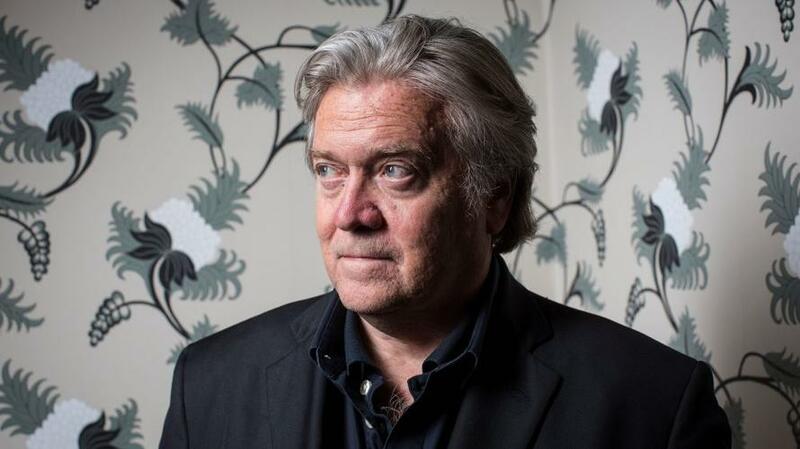 Since he was unceremoniously pushed out of the White House, Bannon has spent his time coordinating European populist movements, and advocating for a private effort to build a border wall out of cannabis.